Played three more in the afternoon, missed on all of them. Had the chip lead in one by about 3:2, lost a race, and went out a couple hands later. 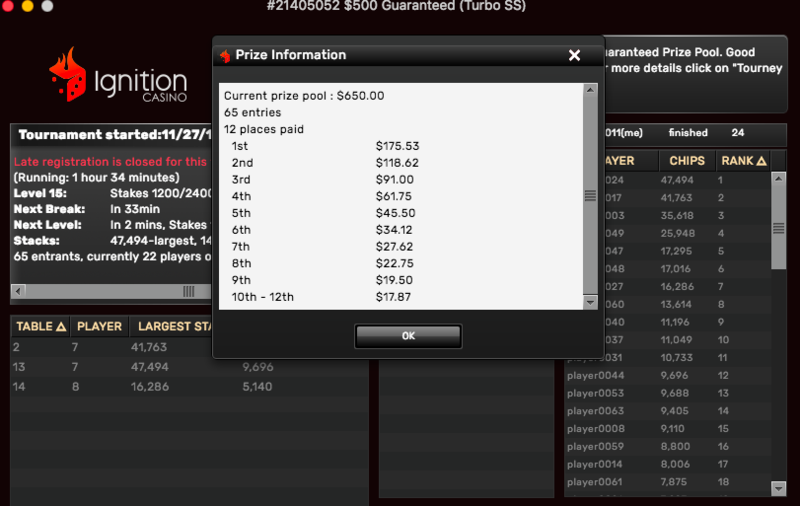 Finished off the day with an online $500 GTD Limit Omaha Hi-Lo. Managed to recover once after I was down to less than 2 big bets, but couldn’t get to the money. 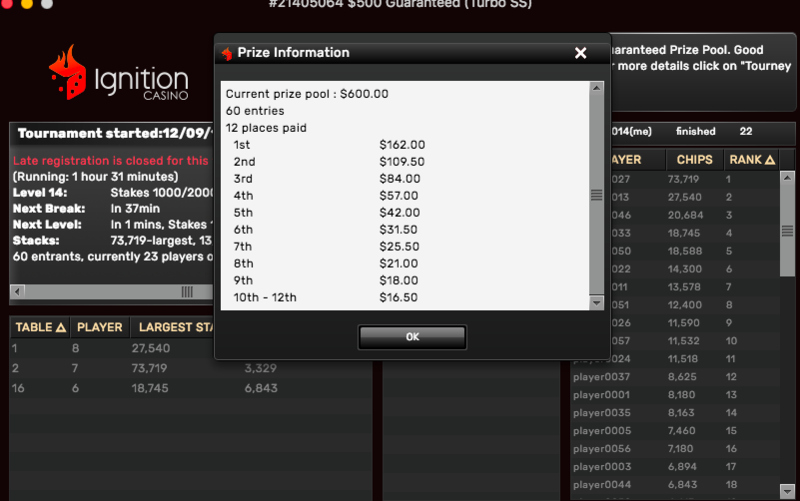 Out 22nd of 60 entries, with 12 places paying. Before I went to bed last night, jumped into the Ignition Casino $400 GTD PLO and played it for about 45 minuted—actually getting up to 2nd place in the 60-player field after a big hand—and only realized it was actually PLO8 after I’d busted out. 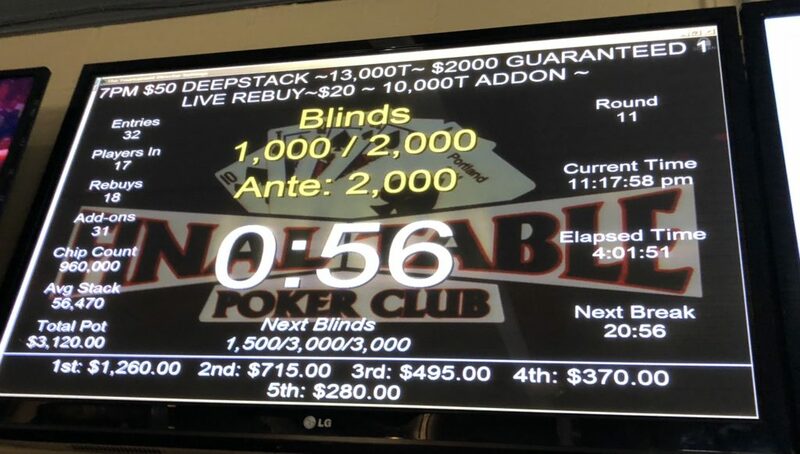 At least I wasn’t the guy I played with at the Venetian a few years back who bought into a $400 tournament only to do the same sort of thing (“I was kind of wondering why none of the hands had a low…”). 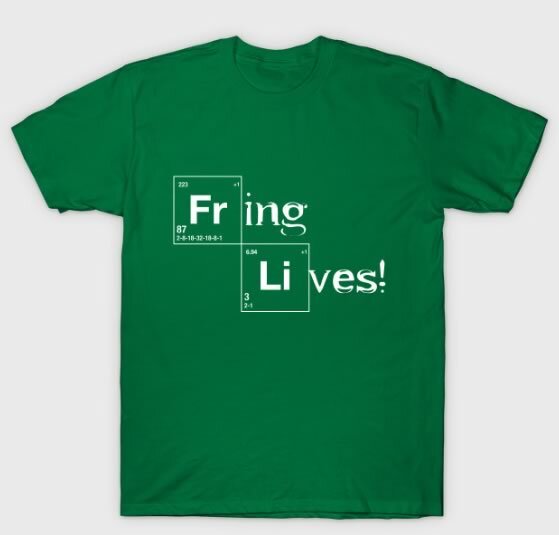 It might be embarrassing if I mentioned it to anyone. This was how the second hand of that tournament went. I had won the first hand, and was up to 6000 chips from a starting stack of 5000. 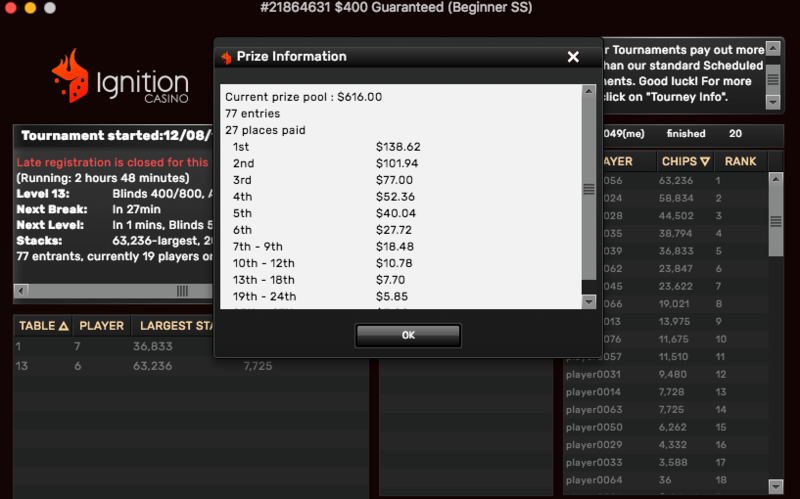 Late entry, blinds were 125/250. 8 players at the table, I was hijack, with T♥8♦8♣7♦. I was the first caller. The dealer (6450 chips, T♠T♦5♥3♠) limped in with me, then the small blind (12,197 chips) raised to 1450 with A♠A♥9♠3♣. I called, then the dealer called. Now, according to the CardPlayer Omaha Odds Calculator, with the player in there with aces my chance of winning the hand doesn’t change from a heads-up match against the pair of tens, but he’s the dog in the three-way fight. Flip the Hi/Lo switch and things stay pretty much the same. Anyway, the flop is great for me: 8♠2♠2♣. I shoot up to 57% equity. The small blind pots his aces, I’m all in to call with my full house, and the dealer—who has nearly a full starting stack—shoves with a weak flush draw (beat by the nut flush draw of the aces) and a bad low draw. The aces called. The turn 3♦ counterfeited the lows of both players, then the 9♥ river shipped me the pot, so I more than tripled to 18375. Nice start, but I made a bad call another 40 hands down the line. 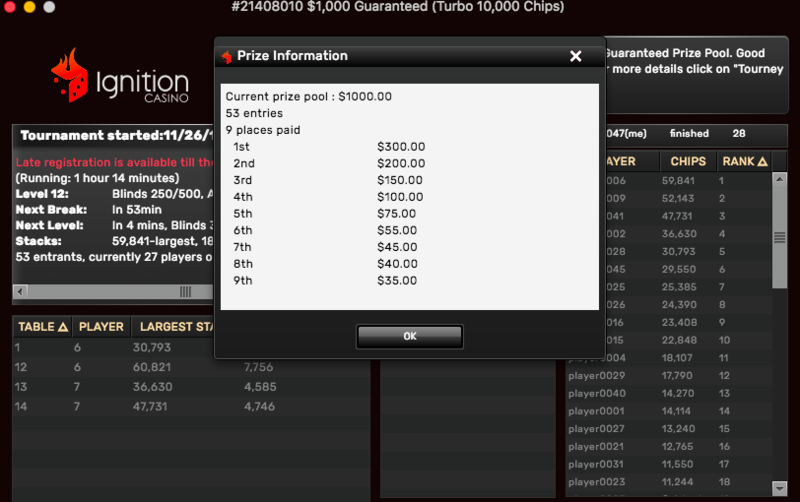 Got a 5x NLHE Jackpot Sit-n-Go, and managed to get out front after a bad start, but ended up going out third. 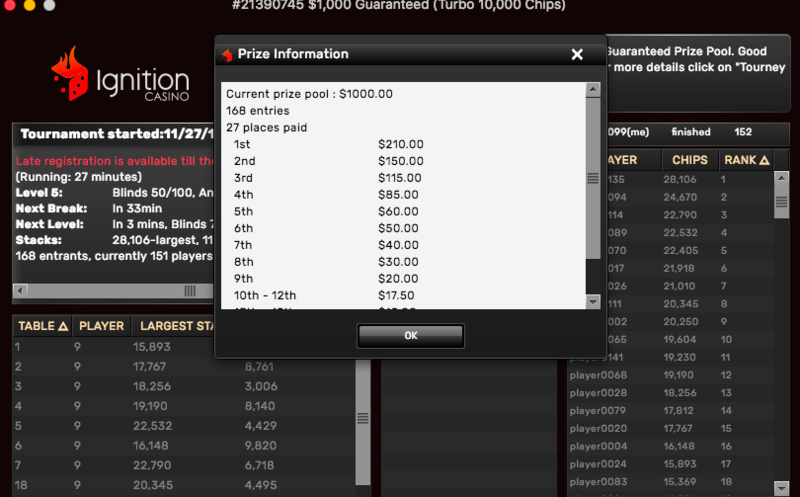 After doing stuff around the house (mostly sitting), I headed out to the Final Table $2K GTD NLHE. Our table had a drunk guy from “down the valley” who said he’d won a tournament earlier in the day. I stacked him twice in the same level, once when he 3-bet Q♠4♠ and I 4-bet QxQx and he called. I don’t remember what he had when I called his shove with almost an entire rebuy stack, but I won that, too. I was up to 45K early on, then doubled up an annoying player I’ve mentioned before when I had aces under the gun and just limped in expecting a raise from someone at the tableNaturally, when I c-bet and the annoying guy raised for most of his stack on a king-high board, I had to put him all in and he had Kx6x for two pair. Doubled up once when I got down to about 10bb and we were at two tables, lost a chunk to the player I doubled through with an open-ended straight draw where he had top pair and a deuce kicker, then just never managed to put it together. 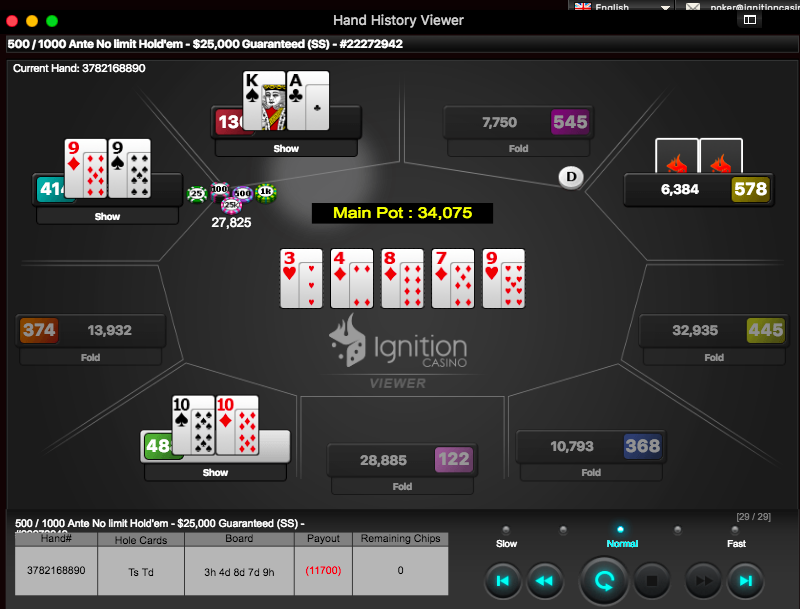 Started off the evening with an Ignition Casino $1K GTD NLHE Turbo. 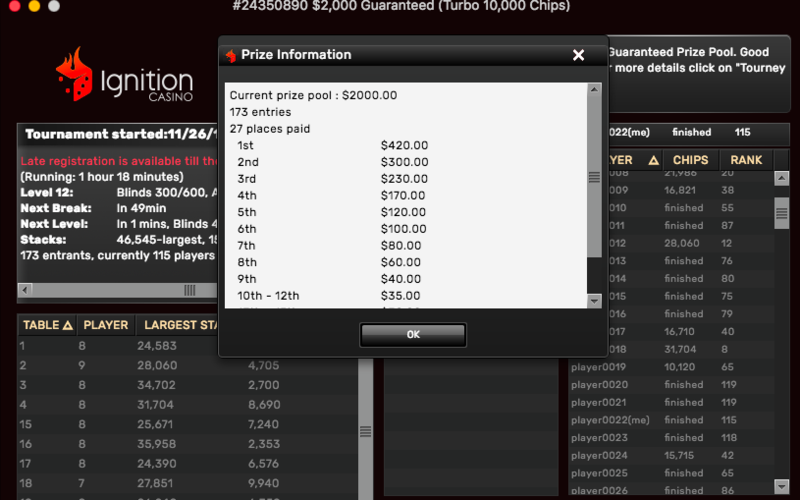 Busted that then jumped into the $500 GTD PLO8 Turbo. Made it up to the top of the leaderboard for a while, but hit a snag and augured into oblivion. My co-worker Ben (see Vegas Trip Report) came over for a go at the Chocolate Bourbon Milkshake and some online poker. I put on the NBC Sports replay of the Poker Masters, and we watched Brandon Adams win a match, then some PLO, while we played the Ignition Casino $2K GTD NLHE Turbo. Ben was doing better than I was at first, then he got in with the second-best full house before getting knocked out. I managed to double up with aces, then eventually got knocked out with second-best two pair. We each played a NLHE Jackpot Sit-n-Go. 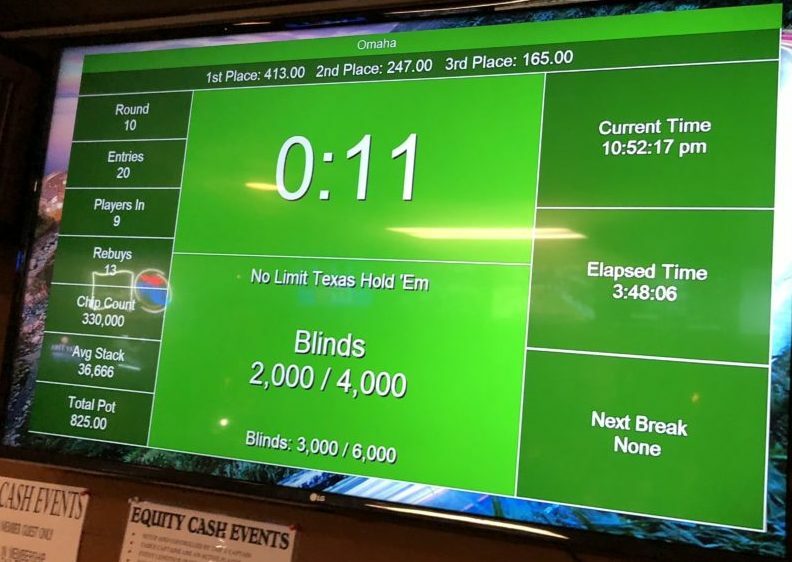 Ben got a 5x payout table. Neither of us cashed. After he left, the Short Deck tournament came on TV and I played the $1K GTD PLO Turbo. I hit a gutshot straight for the nuts on the turn against a short stack a few minutes in, but the jack I needed gave him a set and a river ten paired the board to make a full house. 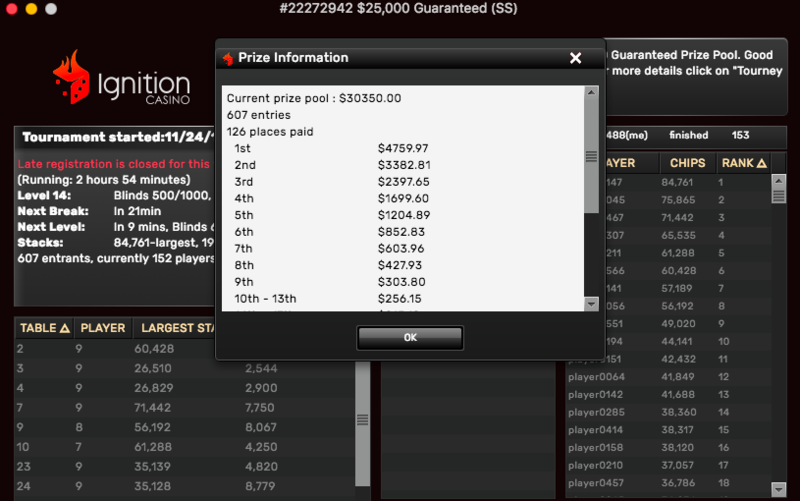 I managed to get it in good at the end but you’re never good until the river in PLO. 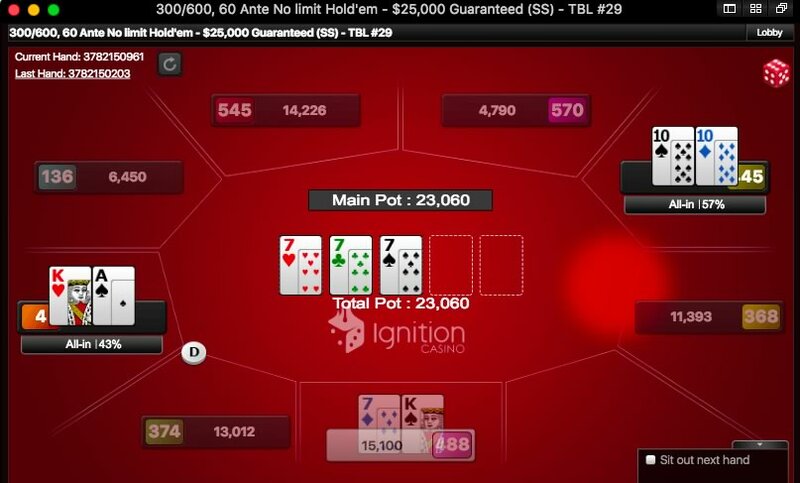 After midnight, I played an Ignition $400 GTD PLO8 tournament for about six hands, doubled up on hand five, then lost everything in a high-only hand when the card that made my straight boated the other guy up. 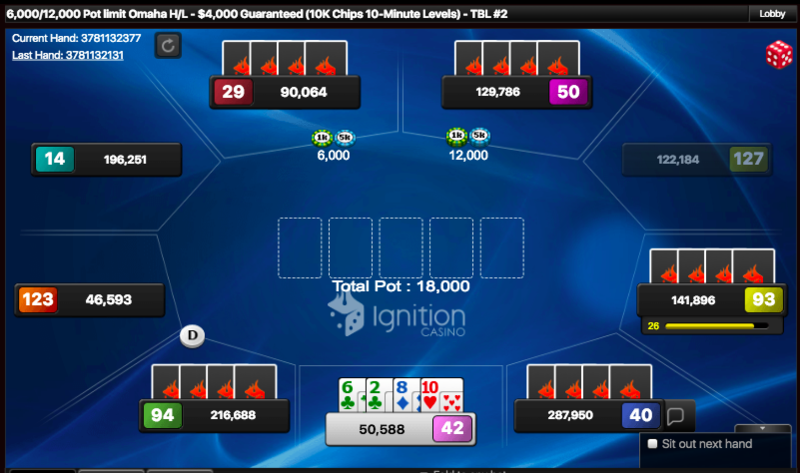 I late-regged the evening Ignition $25K GTD NLHE 90 minutes into the game with about 20bb. I managed to get a double up with J♠9♠ by hitting a nine-high flop and shoving over a raise from the big stack who had sevens. Got another one with a pair of tens. Then I folded this hand preflop, my client seized up after showing the flop (apparently it couldn’t believe it, either). 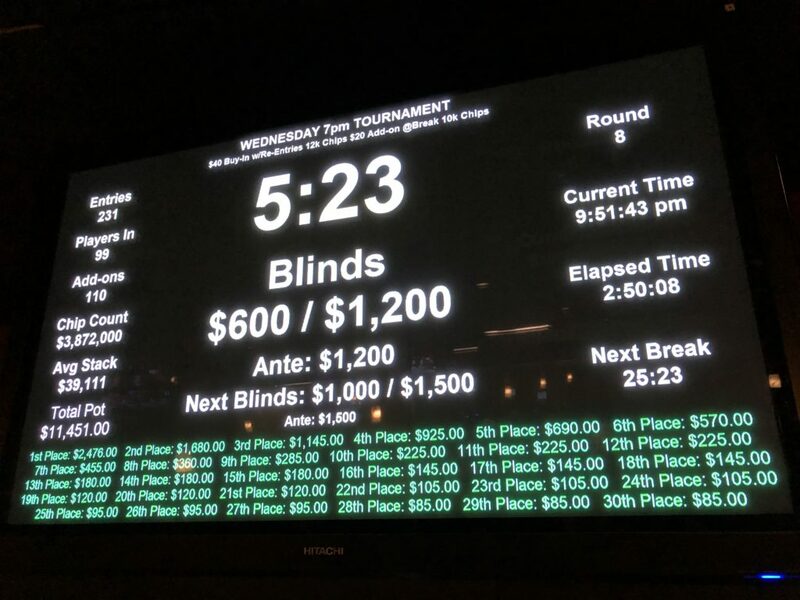 The 607-entry tournament had a prize pool of more than $30K, and we were les than 30 spots away from the min cash (at 126) when I got tens again. My stack had dwindled to 10bb and I shoved from UTG+2. UTG+4 re-shoved with 15bb and a 9bb stack called all-in. Entered the Ignition $5K NLHE Turbo just after the first break, managed to stay in for about an hour with a couple of double-ups, then lost a race and went out 155th of almost 600 entries. After the turkey was consumed at my brother’s house for Thanksgiving, we came home and I got into the nightly Ignition Casino $4K GTD PLO8. As is usual for me in Pot-Limit Omaha tournaments (and I assume, for a lot of people), it was a rather down-and-up affair over the 200+ hands I played before getting to the final table. I was under starting stack over the first 40 or so hands, crossing back over the line, then back under, then took a big hit that dropped me to half the starting stack (and about 20bb). I more than doubled up on hand 50, lost a third of my stack three hands later, then zoomed into the top 10 on the leaderboard just a few hands later. Volatile, a the kids say. I dropped out of the top 10 a couple of times, but I was back up there by the time the bubble approached. 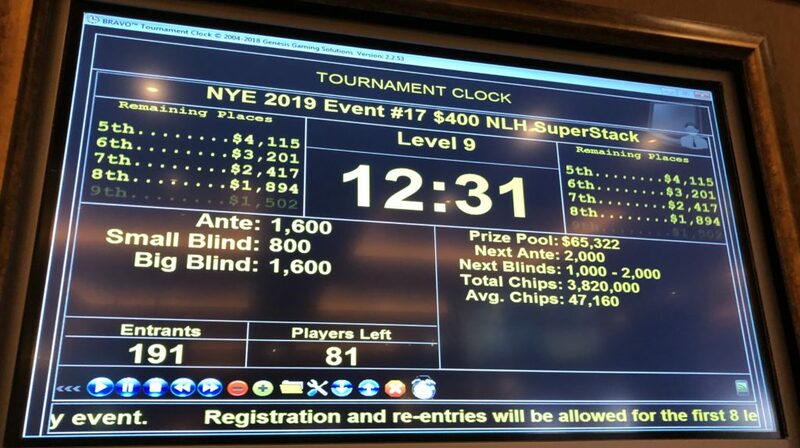 I laid back, accidentally folding one hand I intended to play, and with blinds jumping up quickly, I was one of the short stacks by the time we reached the final table. There was a bit of an overlay in the tournament—one of the few times I can remember getting in one like that. And I managed to outlast three of the other players to grab 6th place for a nice 500% ROI. Only another $97,816 in earnings before the end of December and I keep playing!